We are always interested in buying old or broken equipment from our customers. If you would like to sell your old equipment, we can provide you with a quote based on the estimated market value. We can also apply the value of your old system towards the purchase of another used medical medical. Please complete the simple contact form on this page and we’ll contact you regarding your aesthetic laser or handpiece for sale. If you are looking to get rid of equipment because it is not working correctly, we do provide medical laser repair services for all of the leading aesthetic laser brands. Our techs can troubleshoot your issues over the phone and provide you with a free no obligation quote to complete repairs. 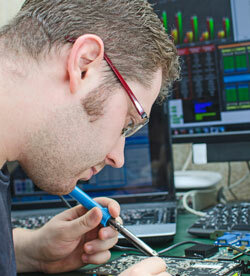 We carry OEM parts for the equipment we repair and have most items in stock, ensuring fast repair times.